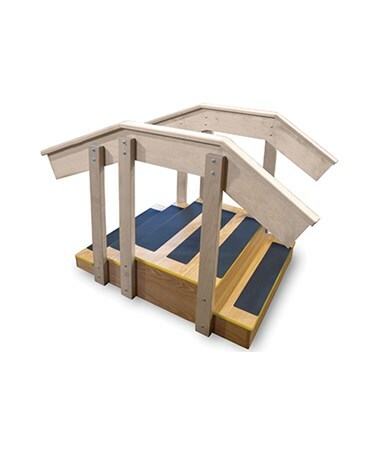 The Hausmann Industries Mini Staircase is a heavy-duty device and is an optimal choice for specialized physical therapy and rehabilitation exercises especially for patients in need of Gait Training. It has a compact design which allows the staircase to be in any room with a standard 8 ft. ceiling height. Robust Construction. With a natural oak laminate finish, the Mini Staircase is designed with "anti-slip" safety treads on all steps and platform. 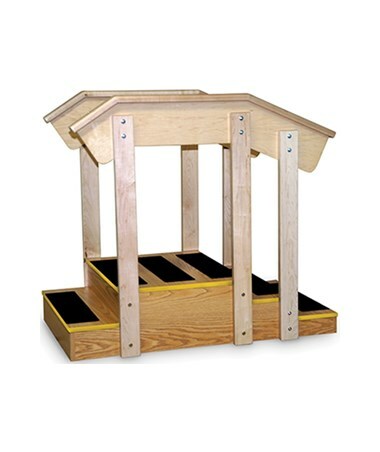 The Mini Staircase features two (2) 6" high steps and three (3) 4" high steps with each step with a 30" W. The included handrails and uprights are made of premium hardwood and has a satin finish that will be shipped ready to assemble (R.T.A.). Durable and Safe. Because of its construction, the Mini Staircase has a weight capacity of 350 lbs. and features BriteStep™ which has a high visibility, bright yellow 3mm thick edging that enhances stability and security. 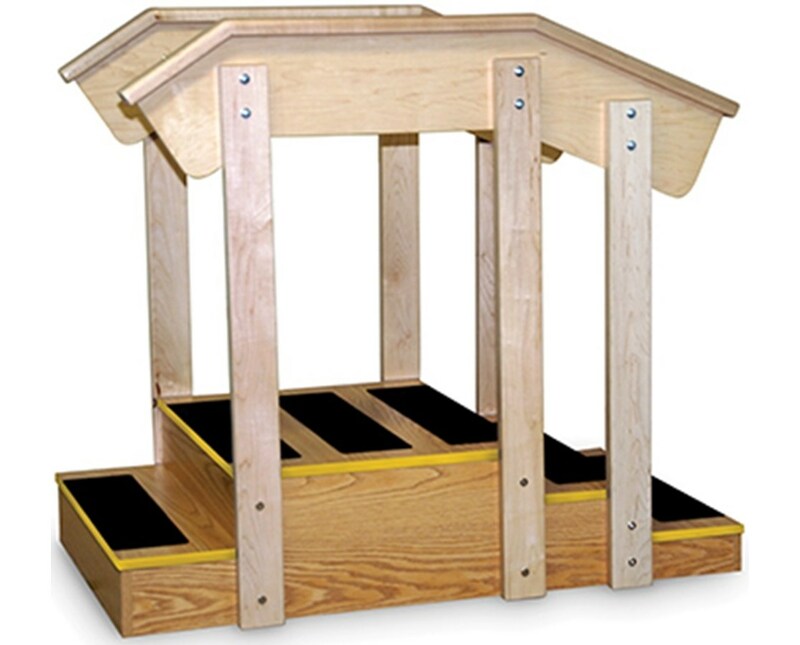 It has handrails that are designed ergonomically for a comfortable grip and ease of use and if the Americans with Disabilities Act (ADA) compliant is chosen, it includes a 12" A.D.A.overhang.